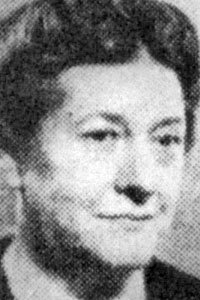 Second woman to hold Office as Chairman of Horwich District Council, after Martha Downes, Chairman 1946-7. Chairman of the Health and Market Committee. Member of the Fall Birch Joint Hospital Board, the Divisional Education Executive, Bolton Guardians Committee and the Library Sub-Committee. Chairman of Horwich Labour Party Elections Committee. Member of the Board of Governors of Rivington and Blackrod Grammar School.